Electronic Arts is continuing to run through its back-catalogue of classic titles for the On The House giveaway programme, this time happening upon the classic Bullfrog tactical shooter Syndicate as its latest gift. 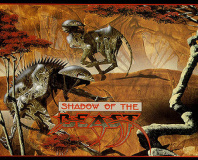 Launched in 1993, Bullfrog's Syndicate proved a major hit for the company. 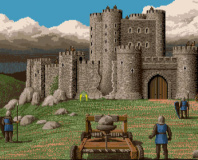 From its opening cinematic which showed a syndicate, the powerful companies which do battle in a cyberpunk future one of which the player controls, kidnapping and brain-washing a citizen to turn him into a mind-controlled agent to the frequently bloody battles that would take place across its levels, the game found its biggest fans on the Amiga but would be ported to devices ranging from the Mac and Acorn Archimedes through to the Sega Mega Drive and Nintendo SNES. Players would take control of four agents in each level, navigating an isometric environment to carry out missions - usually of a violent nature. Between missions, money could be spent upgrading agents with cybernetic augmentations, or on weapons or equipment with new goodies being unlocked by spending yet more cash on research projects. The game's sequel, 1996's Syndicate Wars, never quite found the same following, and plans for further sequels in the franchise were quietly killed by Bullfrog. In 2012, Starbreeze Studios released a reboot of the franchise, called simply Syndicate, but its first-person shooter mechanics left fans of the original cold. Now, those suffering from an attack of nostalgia or who never experienced the original and whose interest has been whetted should be pleased to hear that the original Syndicate is now available for free as part of EA's On The House programme. 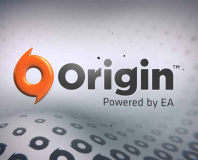 Anyone with an account on the company's Origin digital distribution service, or who is willing to sign up for the same, can pick up a copy of the game for free for a limited time as the company continues to offer incentives to encourage membership. Syndicate is available to download now, at the official Origin site, and runs in a pre-configured DOSBox session on any modern Windows system.